The Hampstead Shuttle provided by CART runs Mondays, Wednesdays and Fridays from 8:00 a.m. to 4:30 pm. 8:00 am: Pick-up riders at home and drop-off riders at Sarah Care for 8:30 am. 4:00 pm: Pick-up riders at Senior Class and drop-off at home. Also, Hampstead dialysis patients can ride to Londonderry dialysis centers for 11:00 am appointments. Throughout the remainder of the day, curb-to-curb (demand response) rides for medical appointments, shopping, employment and other needs for seniors, those with disabilities and the general public are accommodated as space allows. These CART trips can be anywhere in the five-town region. Tuesdays and Thursdays, Curb-to-Curb Service, 8:00 a.m. to 4:30 pm. 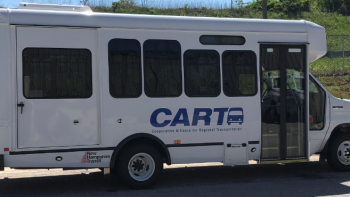 CART provides curb-to-curb (demand response) rides for medical appointments, shopping, employment and other needs for seniors, those with disabilities and the general public within the five-town region. 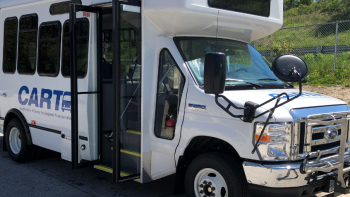 Curb-to-Curb is a shared-ride service that is available to any resident of Hampstead, especially seniors and others in the community who need transportation. Wheelchair lift-equipped vehicles are available to accommodate the needs of individuals with disabilities. Curb-to-Curb rides must be scheduled several days in advance. 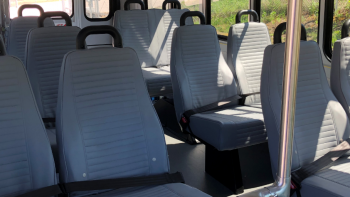 There is a minimal fare for the Curb-to-Curb service that ranges from $3-5 per one-way ride depending on destination with discounted half-fare rates available for those who qualify.